Jae Yeong is using Smore newsletters to spread the word online. 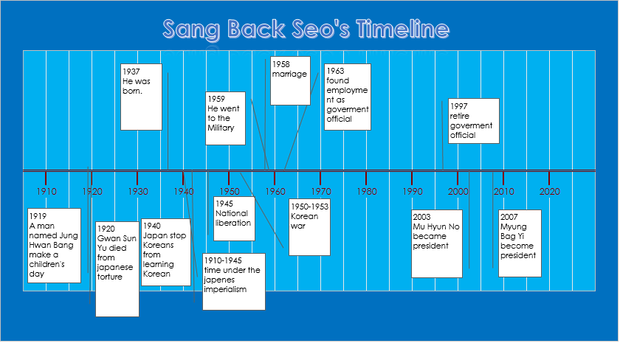 Sang Back was born during the time under the rule of Japanese imperialism. He went to school in the year when Korea became independent. He went to school wearing Han Bock which is the national clothes of Korea. He wore straw shoes. He did not have enough papers to practice writing. He often went to the mountains to get some firewood. 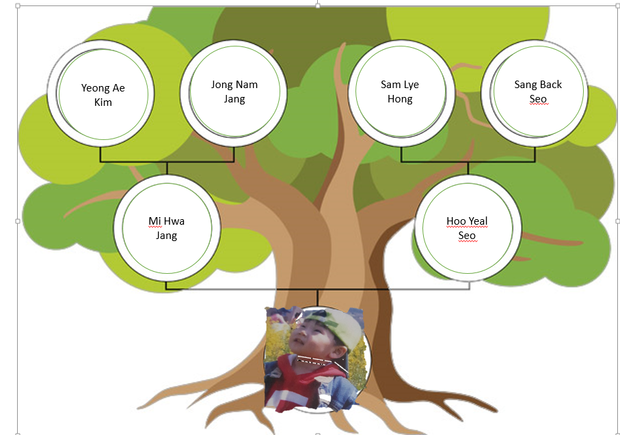 There was not enough rice to eat so the family mixed rice with roots of herbs and barks of trees. He lived like this until he married. He went to the military after the marriage. He needed to be there for about 3 years. After his discharge from military service he found employment of government official. At about the age of 26. He was an official in agriculture. After 43 years he retired from his job at the age of 60. He farm with his wife Sam Lye Hong and grow food by their self. The have been living like this for about 15 years.